On November 12, 2016, Narrow Passage Chapter NSDAR marked its 40th anniversary. 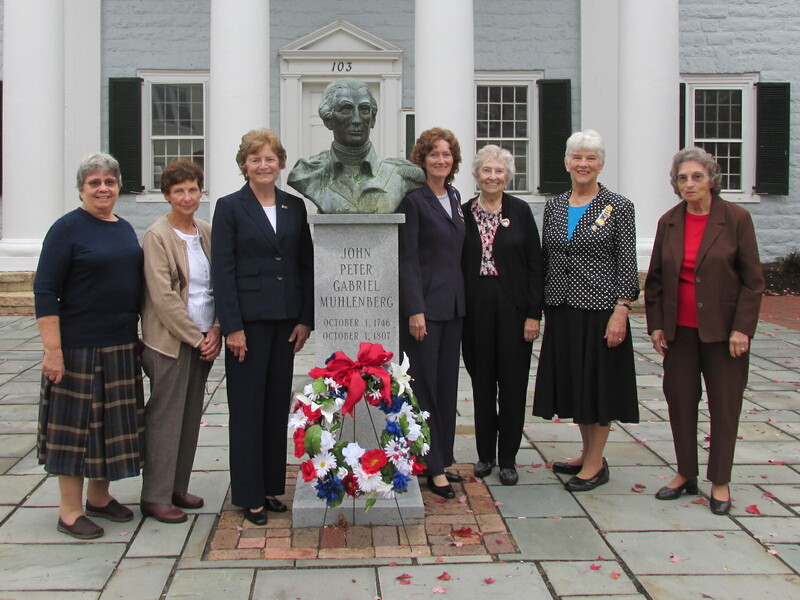 The Woodstock, Virginia chapter was organized in the Bicentennial year with 21 members. Virginia State Regent, Mrs. Carl Stark, administered the oath to the officers including organizing Regent, Shelley L. Rucker. The chapter’s organizing meeting was held November 13, 1976. During the renovation of the Shenandoah County Courthouse, the oldest courthouse in continuous use west of the Blue Ridge Mountains, Narrow Passage Chapter NSDAR obtained a portion of the black locust threshold to the Treasurer’s office from which our gavel was made. 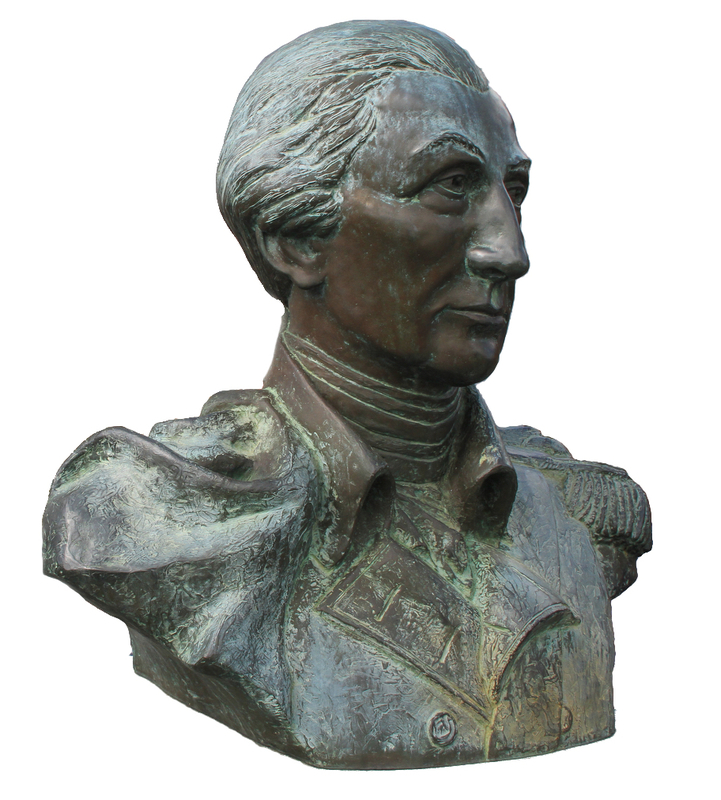 For the past 40 years, the chapter has memorialized John Peter Gabriel Muhlenberg and, since its October 1, 1988, dedication on Court Square, laid a wreath at the bust of General Muhlenberg that the chapter commissioned of Caroline Muhlenberg Hufford Anderson, a sculptor and direct descendant of Muhlenberg. We also honor General Muhlenberg’s 8th Virginia Regiment with a newly published brochure on its men and history that began when, in January 1776, during his sermon in a log church in Woodstock, Reverend Muhlenberg removed his clerical robe to reveal the uniform of a Continental Army colonel and enlisted parishioners to join him in the fight for American independence. 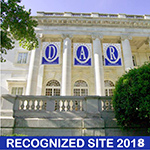 DAR is a women’s service organization dedicated to promoting historic preservation, education, patriotism and honoring the patriots of the American Revolutionary War. From placing memorials and monuments to restoring and marking Revolutionary War patriot gravesites to preserving genealogical records, Narrow Passage Chapter NSDAR members take part in a variety of projects to help preserve our heritage. Each year Narrow Passage Chapter NSDAR members collect needed items to help support DAR Schools in the Appalachian region. In our local area, we recognize student achievements with academic awards and scholarships. 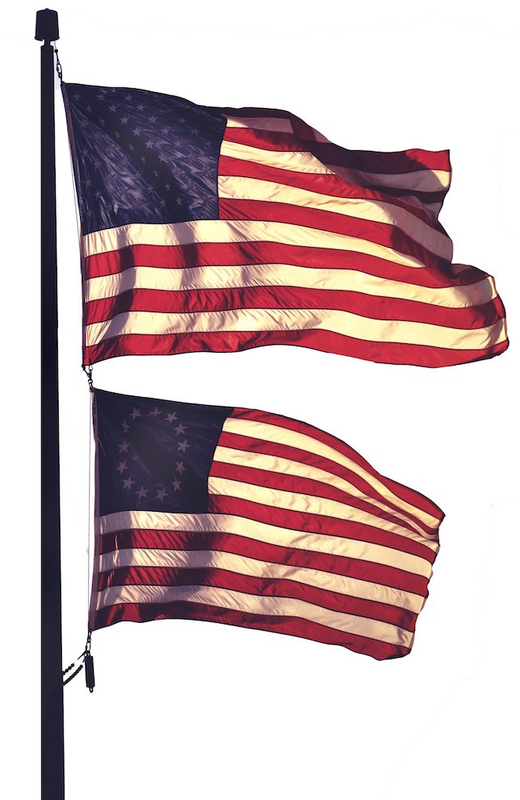 Narrow Passage Chapter NSDAR is committed to honoring our country's fallen heroes as well as supporting our veterans, active duty military service members, and their families. and that time has now come." John Peter Gabriel Muhlenberg was a clergyman, militia leader and a member of the House of Burgesses from Shenandoah County in January 1776 when the Burgesses met and laid out a plan for war. He returned home to Woodstock the appointed colonel of the non-existent 8th Virginia Regiment, asked to point recruitment at the Germans in the Shenandoah Valley. 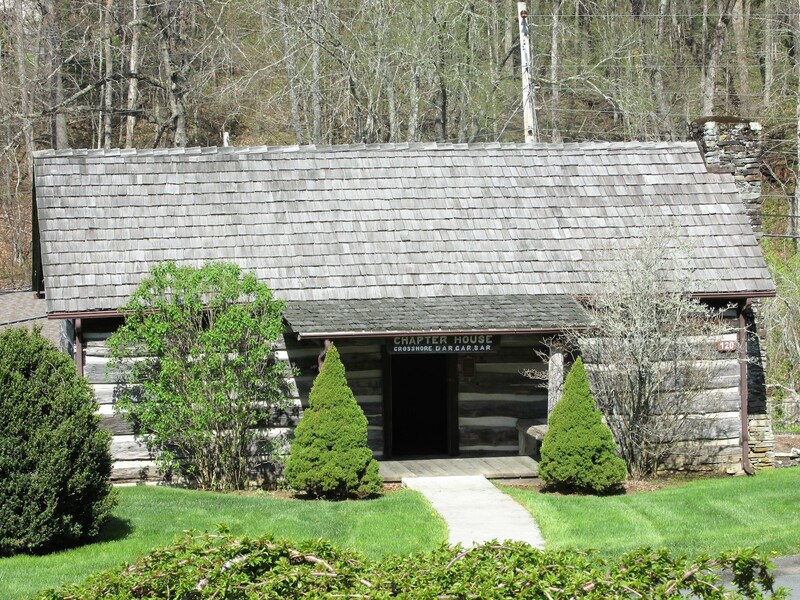 He preached his farewell sermon on January 28, 1776, in a little church in Woodstock. He then removed his clerical robes, revealed his Continental Army uniform and called the men of his parish to arms. Thus was born the 8th Virginia Regiment. Organization of the regiment continued from February-April 1776 at Suffolk County Courthouse and included men from Frederick, Dunmore, (Shenandoah) Berkley, Augusta, Hampshire, Fincastle, and Culpepper Counties as well as the West Augusta District. DAR is your mother, your daughter, your grandmother, your friend, your colleague . . . DAR is you! 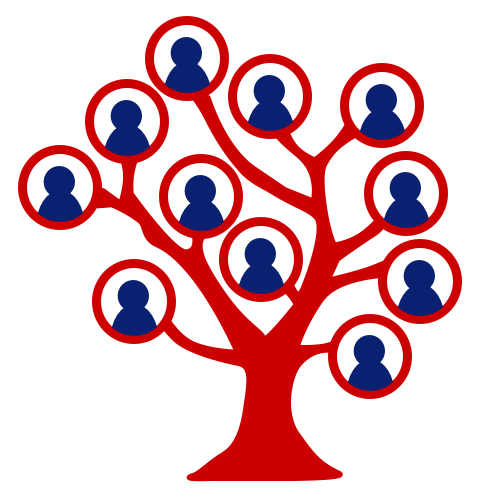 DAR's online genealogical resources are here to help you discover your DAR connection! 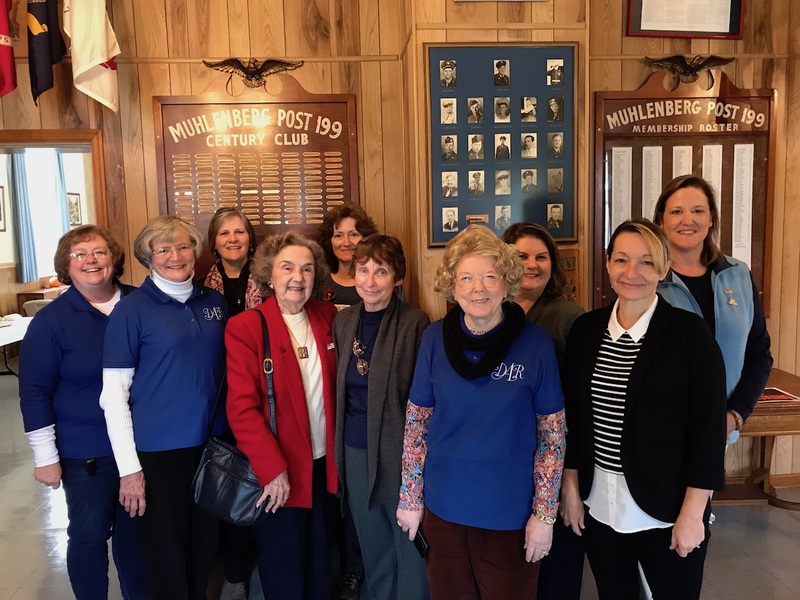 Since our founding in 1890, DAR members have worked tirelessly to promote historic preservation, patriotism and educational ideals in communities across this nation and in overseas chapters. SHOW & TELL – Bring your quilts!